At Banstead URC we take children and young people seriously! The whole church family worships together at the start of the service when Sunday Club members are encouraged to take part by reading the Bible, playing musical instruments and taking the offertory. After the second hymn, usually led by the music group, adults and children worship separately. 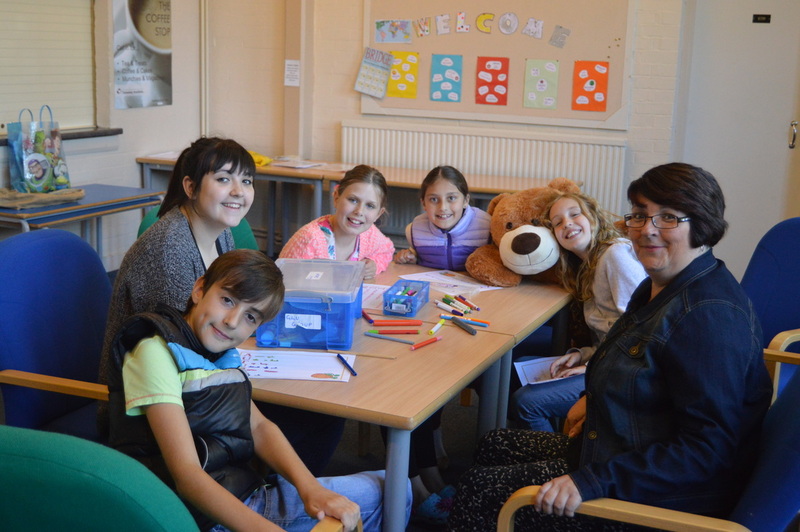 Sunday Club follow their own programme where they are challenged on various concepts from the Bible and real world applications of faith - but in a fun way, of course! We try to help foster new friendships, social skills, individual understanding of faith and many other exciting things! Sunday Club (from birth to 16+ years) takes place every Sunday morning, (even in the school holidays) unless there is a special 'All Age' service when the service is suitable for all. We have at least one outing a year, this year we went to Bocketts Farm. Sunday Club also raises funds for charities and recently has been supporting Streetlife working with street children in India and MERU, a local charity which designs and manufactures bespoke disability equipment for children and young people with disabilities. Holiday Fun Week, run jointly by the Banstead Five Churches, is a highlight at the start of the summer holidays.